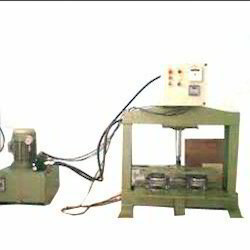 Type of Paper Plates, Dona, Thali Machines. 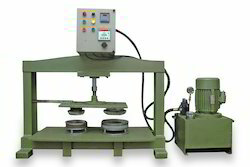 Paper Plate Size: 4" to 15"
Thali Dies: 10" to 18"
Dona Dies: 4" to 8"
Power Source: 220v - 50hz. Oil Tank Capacity: 50 Ltrs (HR-107/A, HR-107/B). Oil Tank Capacity:35 Ltrs (HR-107/C). Power Consumption with Heater: 2 Units/hr. 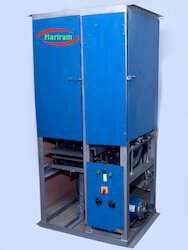 We are not providing hydraulic Oil with Machine. Paper Plate Size: 4" To 18". Paper Plate: 4000 To 6000 Pcs. /HR. Thali: 1200 To 1800 Pcs/Hr. Weight Of Machine: 250 Kg. Approx. Paper Palte: 4000 To 6000 Pcs. /HR. Oil Tank Capacity: 50 Ltrs. Power Consumption with Heater: 1.5 to 2 Units/hr. 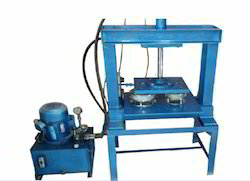 Paper Plate Size: 4" to 15"Thali Dies: 10" to 18"
Oil Tank Capacity: 50 Ltrs. (HR-106/A, HR-106/B). Paper plate size: 4" to 18"
Bowl: 800 to 1000 pcs/hr. 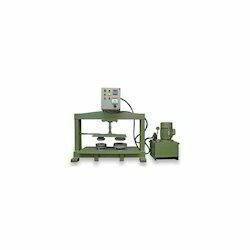 Electric motor: 2 hp - 1440 rpm single phases - 230v. Weight of machine: 300 kg. Approx. Oil tank capacity: 50 ltr (without oil). Oil Tank Capacity: 50 Ltr. 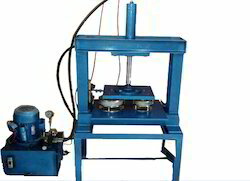 Looking for Semi Automatic Paper Plate Machine ?